Supplementary Beta Alanine is favoured by bodybuilders, power and endurance athletes. It makes a unique and potent contribution to maintenance of carnosine levels in muscle during hard and/or prolonged exertion. Carnosine, stored in skeletal muscle, helps control ph levels by absorbing hydrogen ions, the release of which is accelerated by exercise. When ph levels fall below a certain range so does muscular power and endurance - it becomes harder to train hard and long. Bronx Wild Bull Pure Beta Alanine ingestion contributes to a higher carnosine level enabling carnosine to impede the onset of acidosis and fatigue in muscles. Due to its durability in the digestion process Beta Alanine supports carnosine levels much more effectively than ingestion of carnosine itself which is substantially degraded and lost in the intestine. Dosage: 1.2 g (1/4 of a metric teaspoon), approximately 30 minutes prior to training for best results. To maximise bioavailability, consume with simple carbohydrates such as fruit juice. This product can cause a tingling sensation in the body in the first few weeks of use, which will gradually disappear. 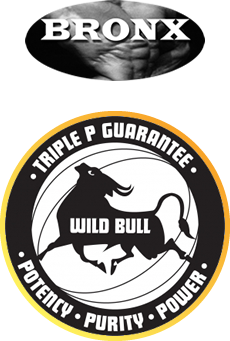 Bronx Wild Bull Pure Beta Alanine contains no fillers, artificial flavours or sweeteners, no caffeine, no added yeast, soy, dairy or gluten, JUST PURE WILD BULL. 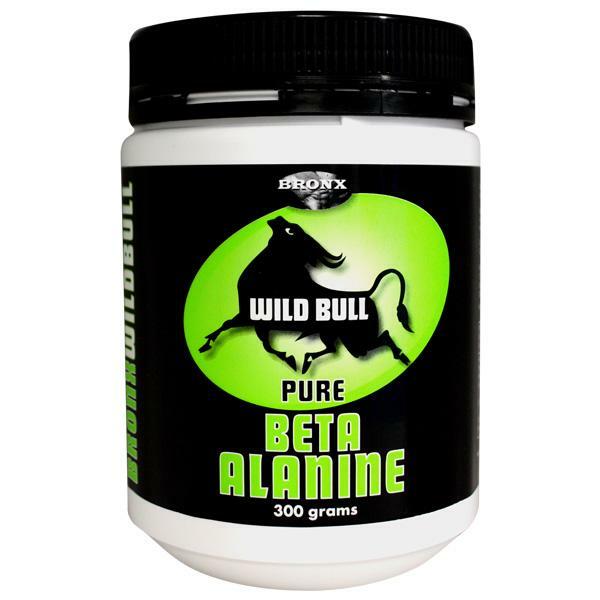 Bronx Wild Bull Pure Beta Alanine is suitable for vegetarians and vegans.